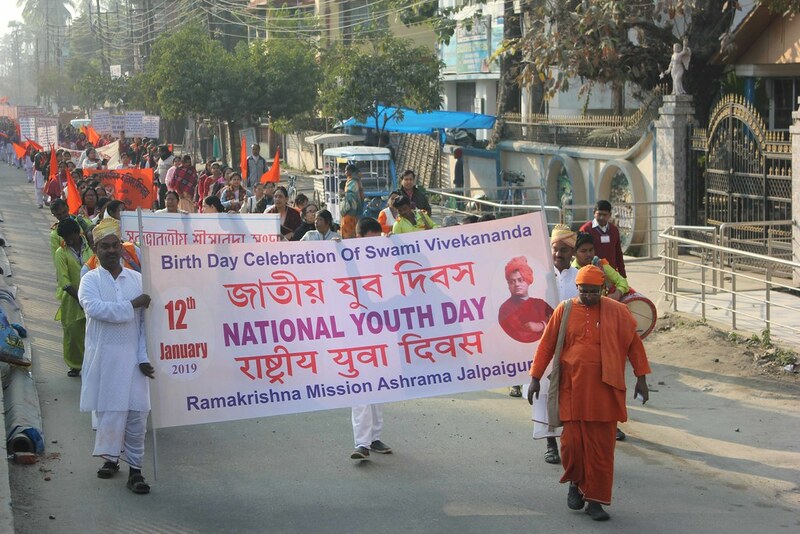 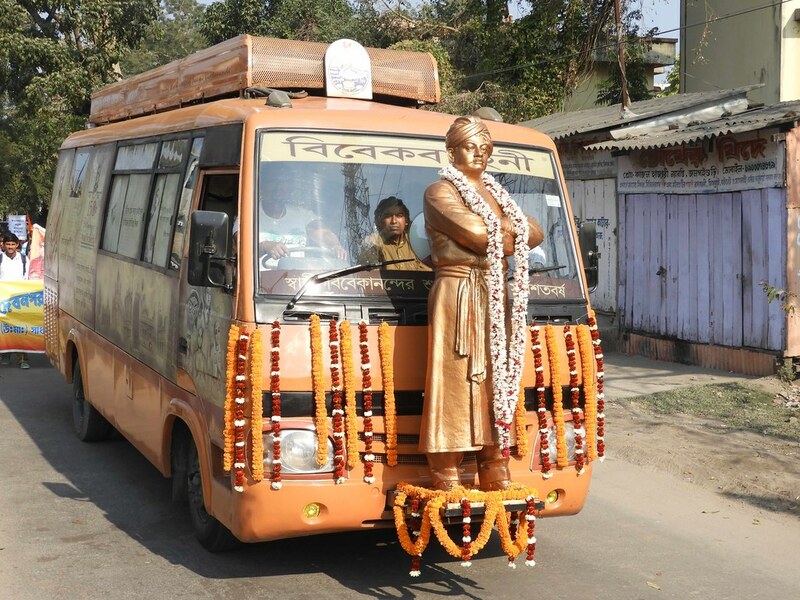 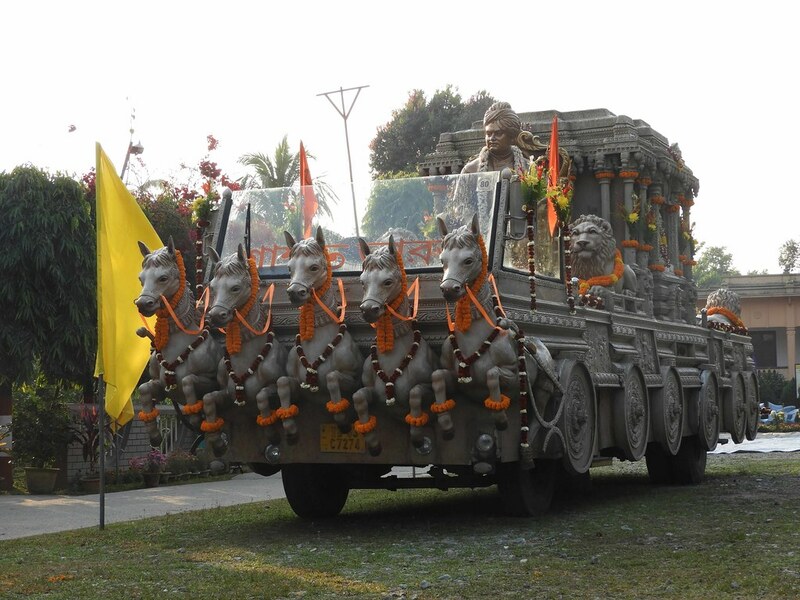 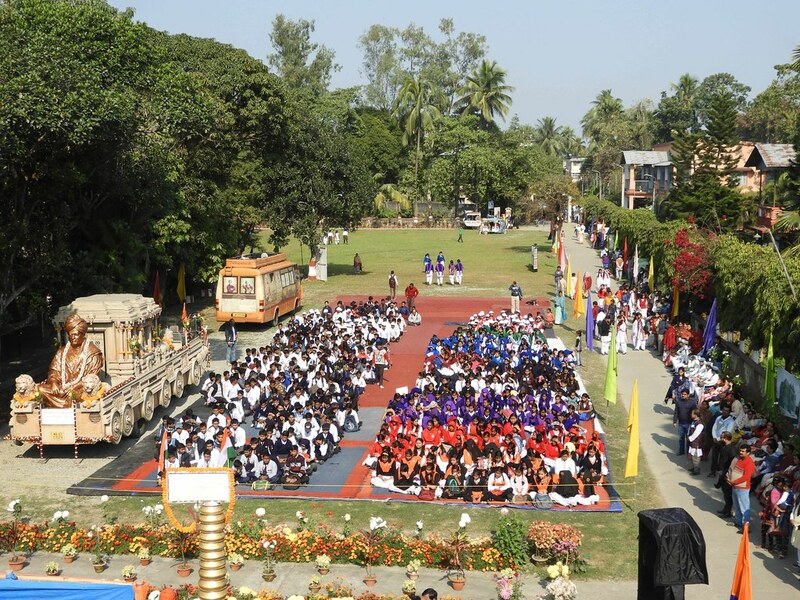 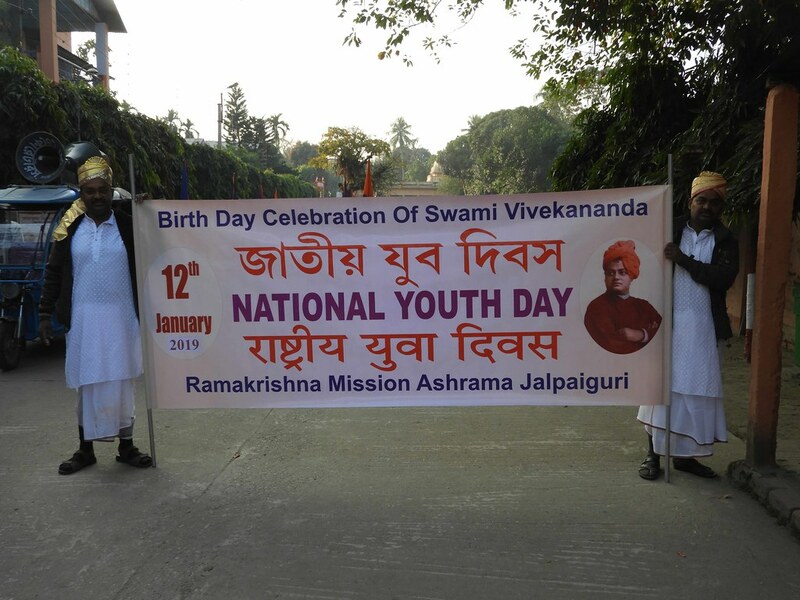 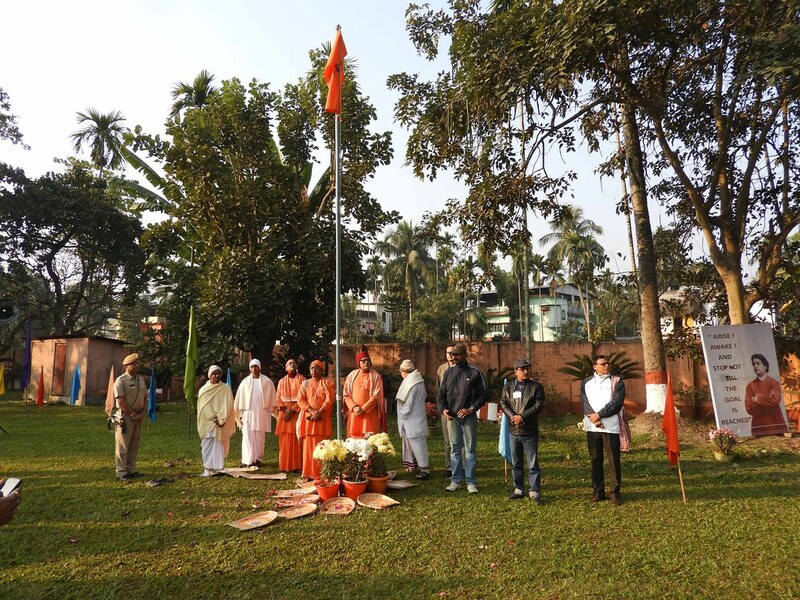 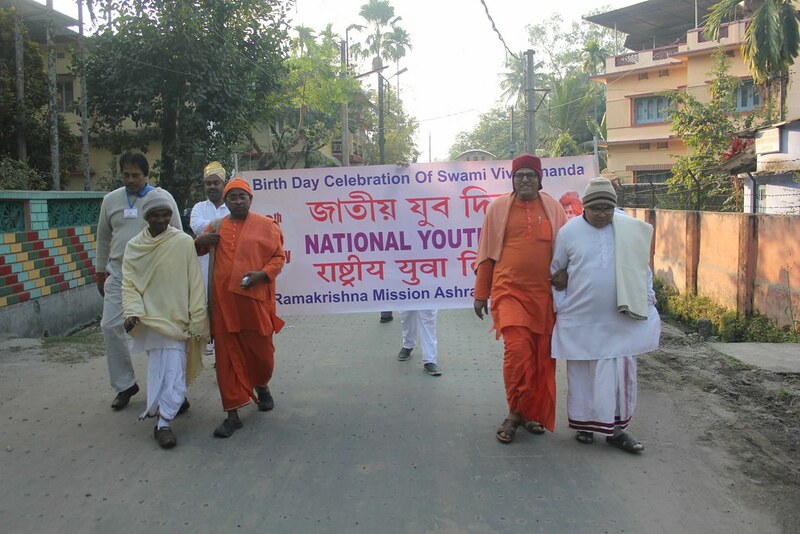 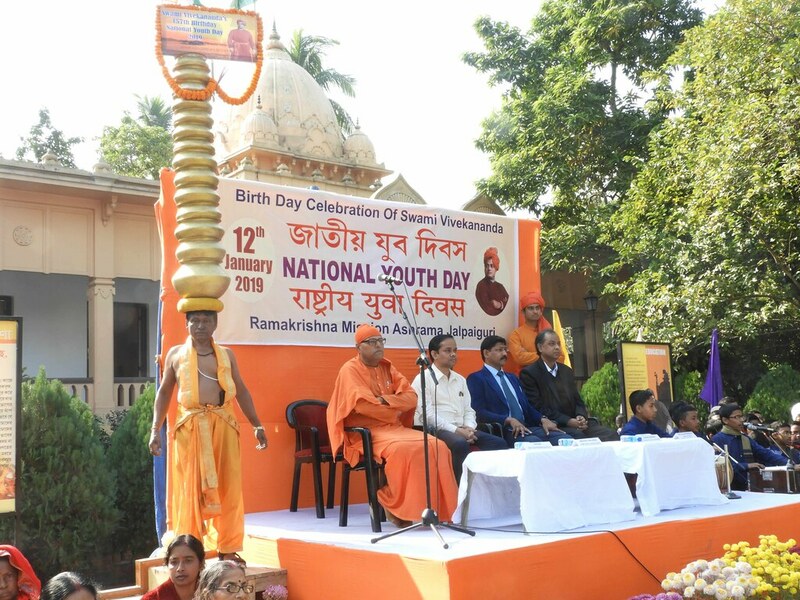 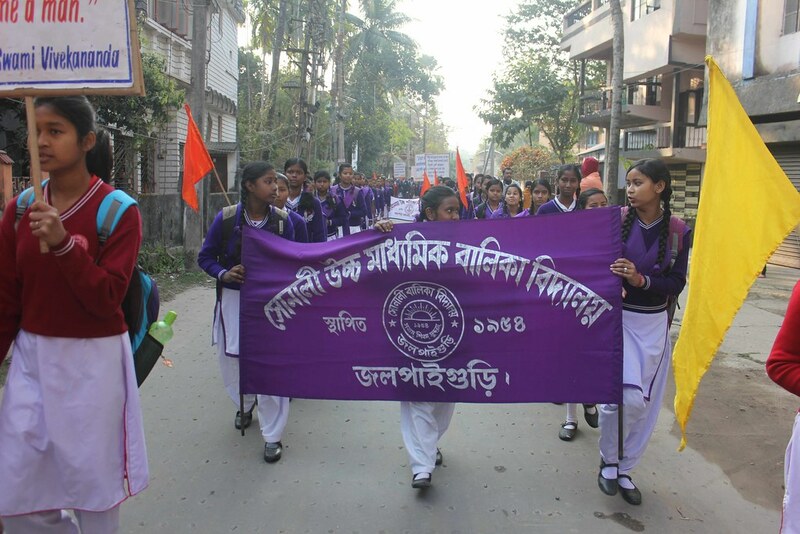 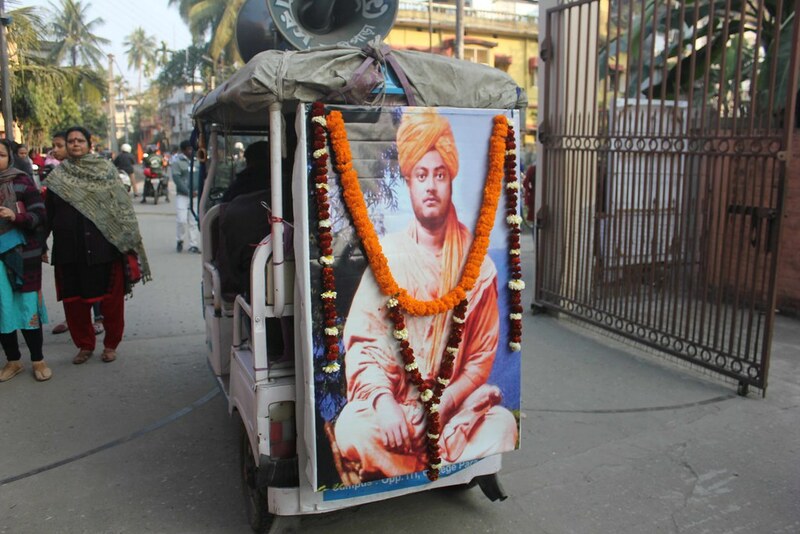 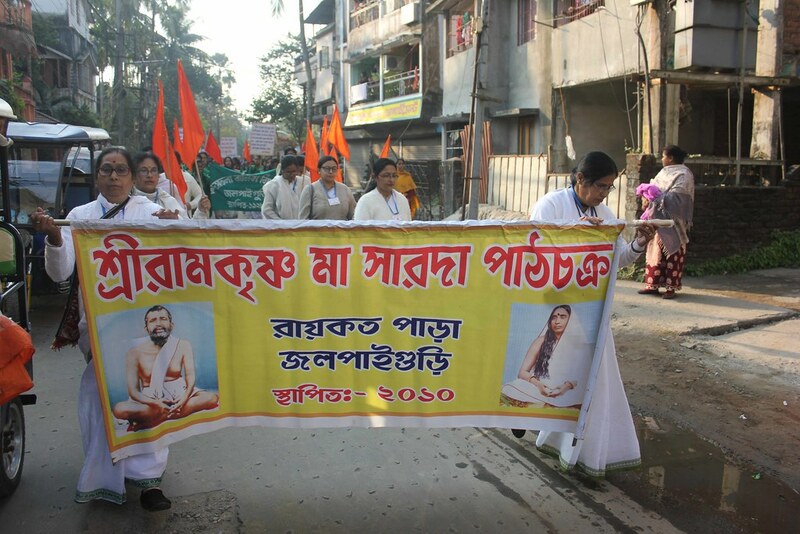 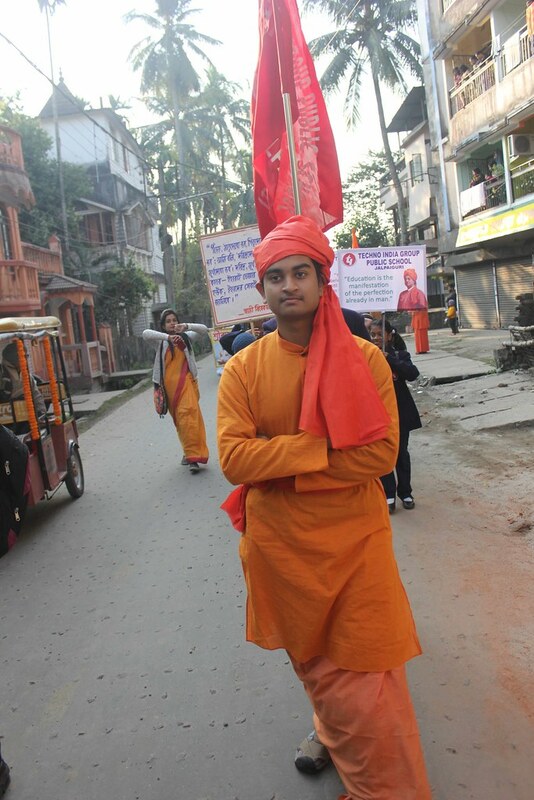 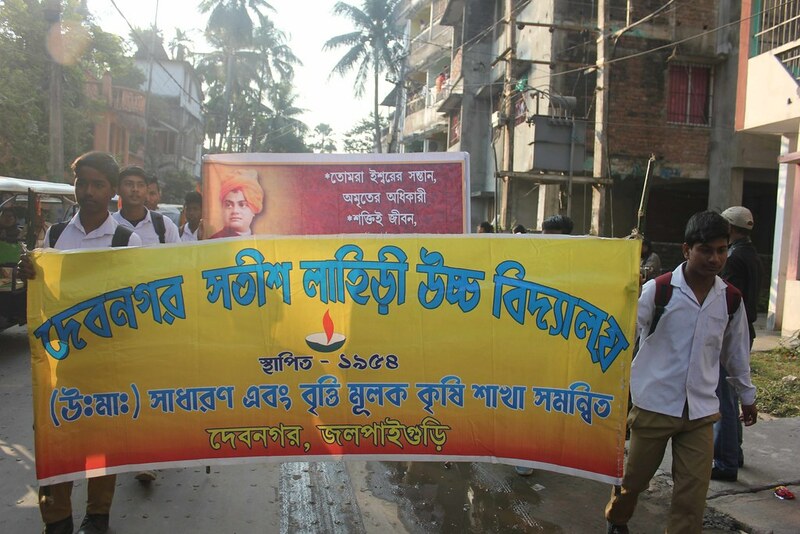 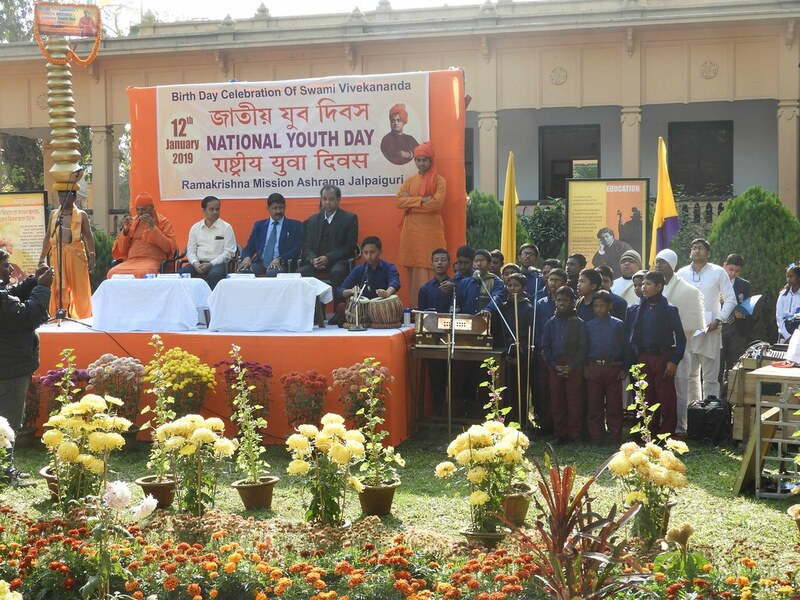 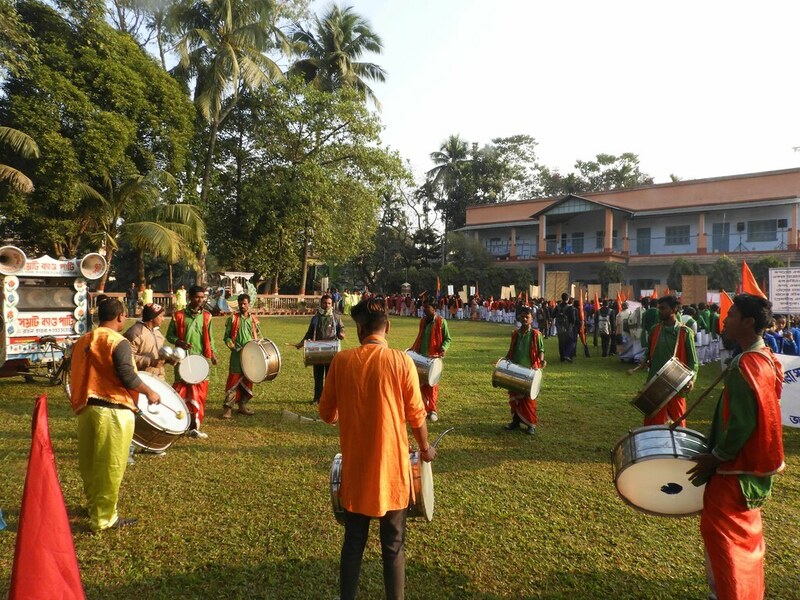 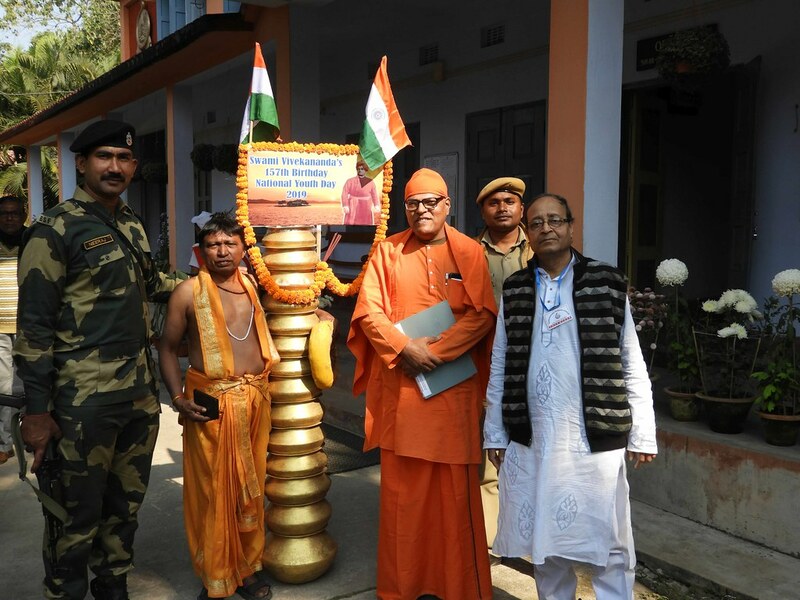 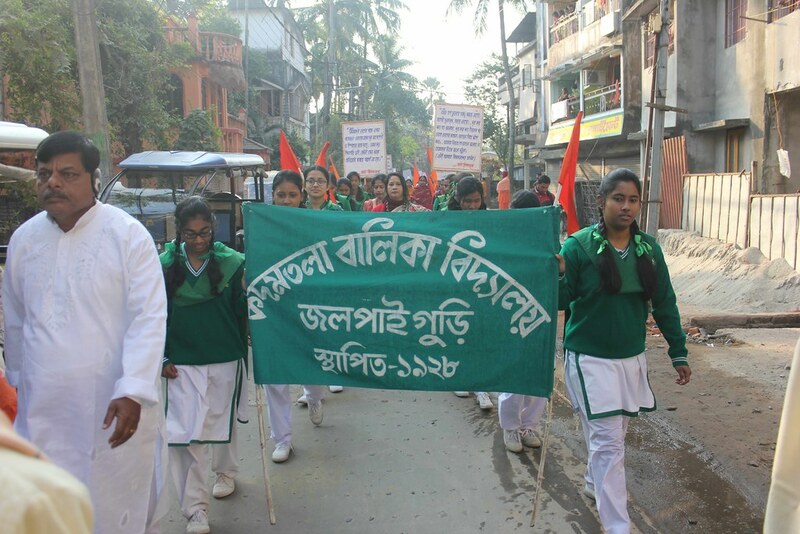 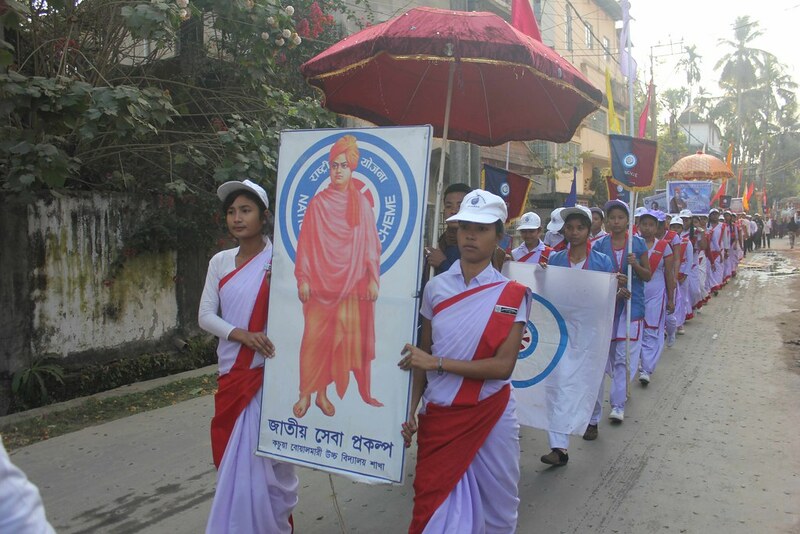 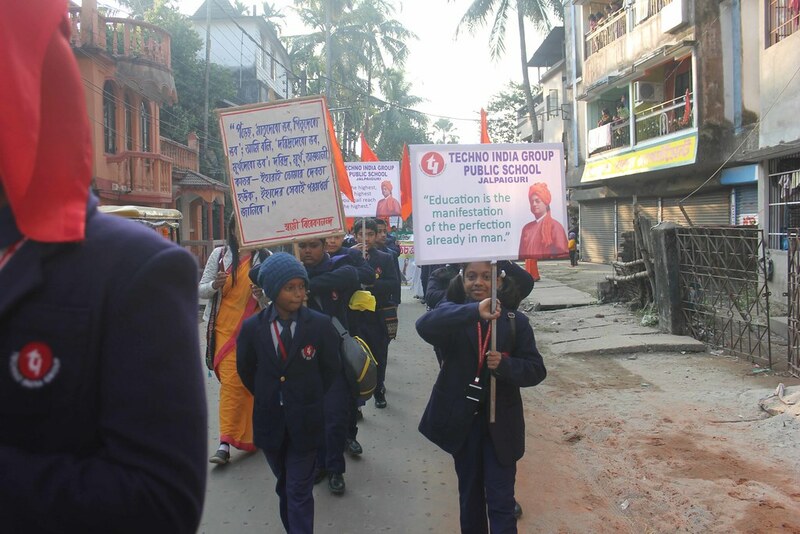 Ramakrishna Mission Ashrama, Jalpaiguri celebrated the National Youth Day 2019 in a befitting manner. 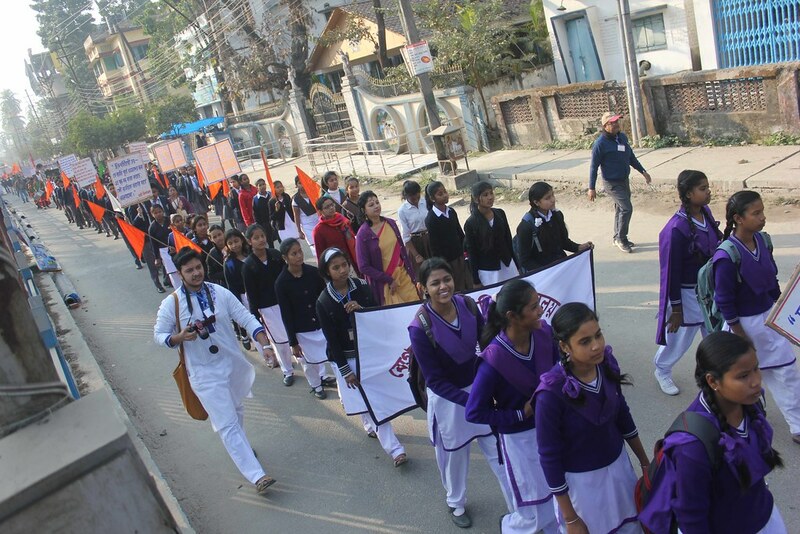 The celebration started with flag hoisting which was followed by the Vedic chanting by the Monastic Members of the Ashrama and then a colorful procession with more than 1000 students, teachers, devotees, admirers and general public with festoons, flags, placards accompanied by Shashwata Baharata Ratha and Viveka Vahini tableau (Pertaining to Ramakrishna Math yogodyan, Kankurgacchi, Kolkata) from the Ashrama Compound. 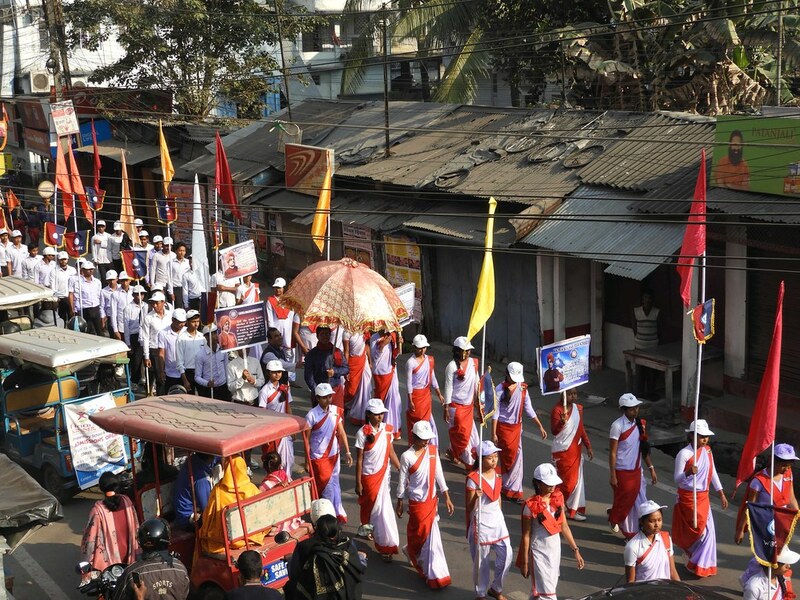 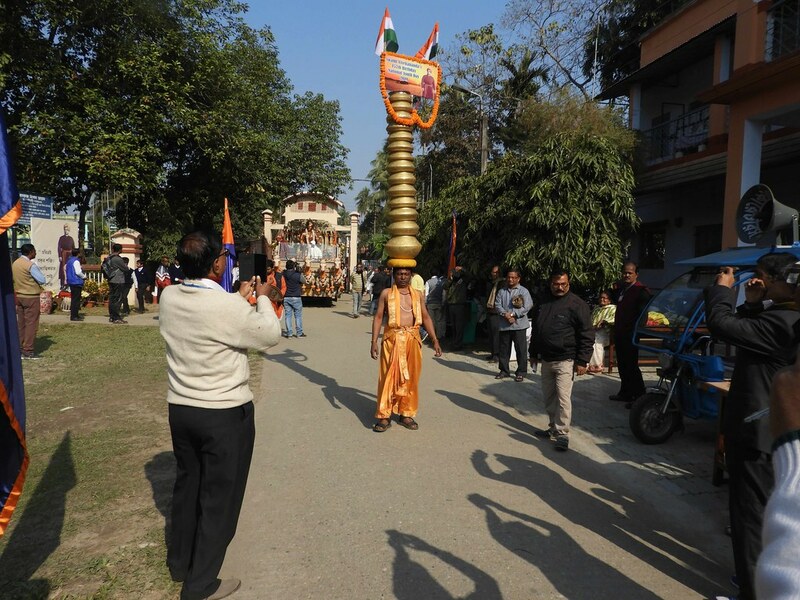 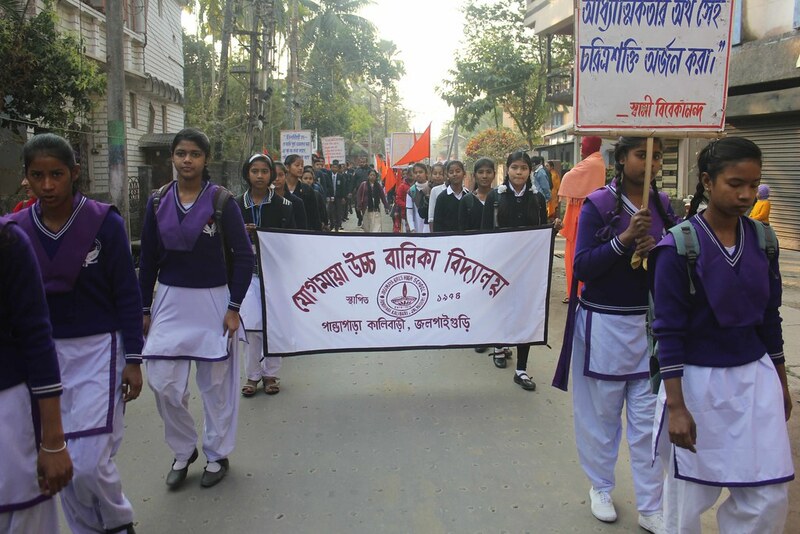 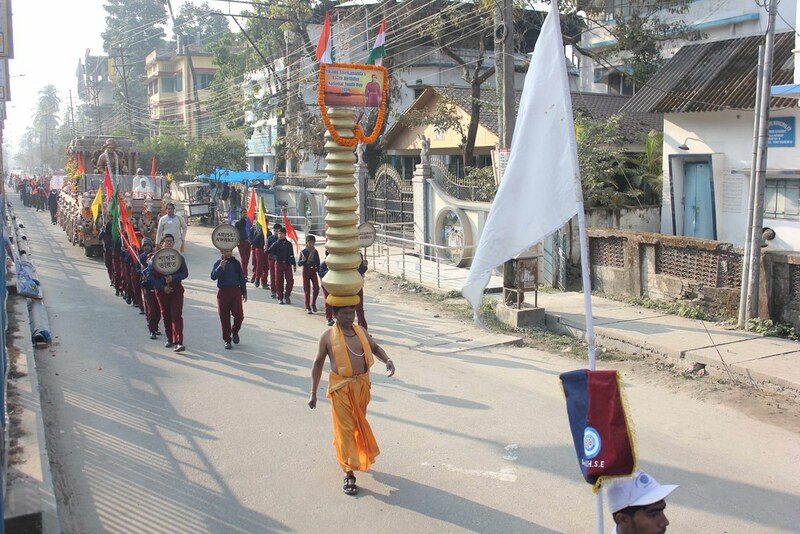 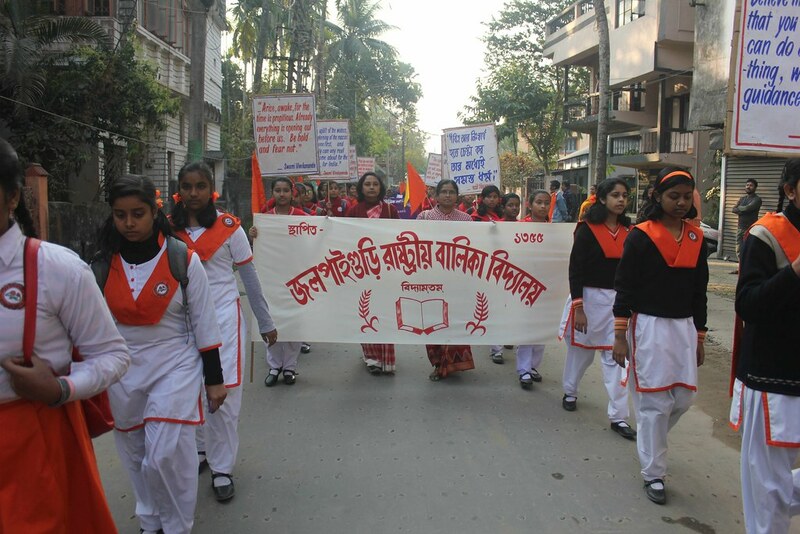 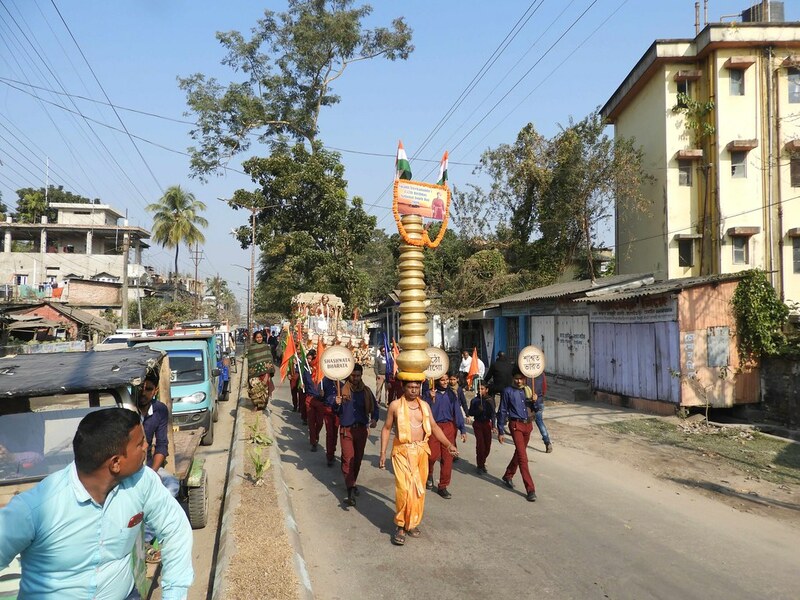 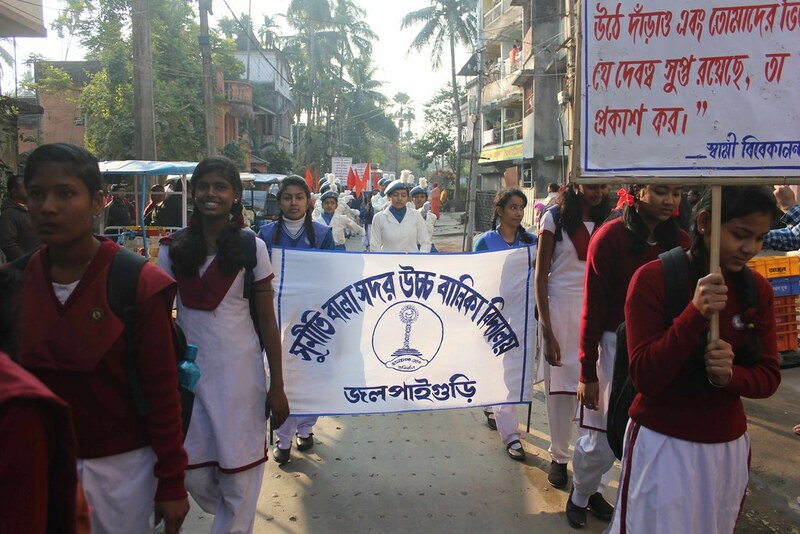 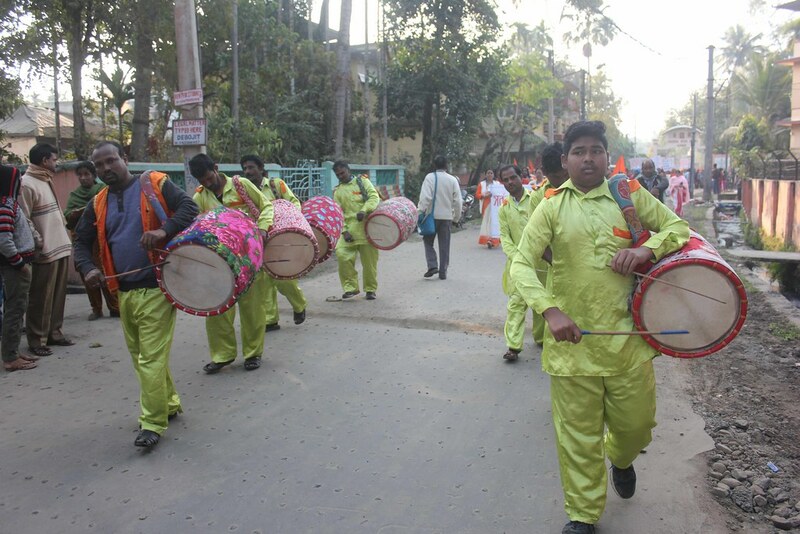 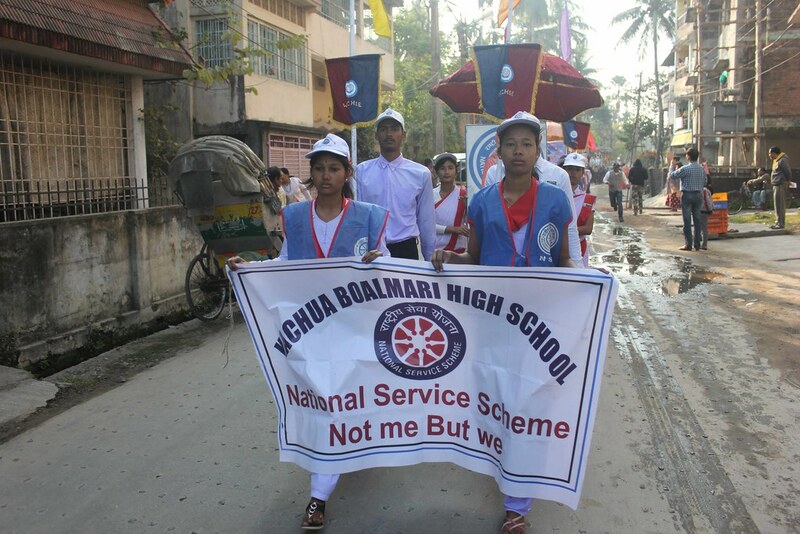 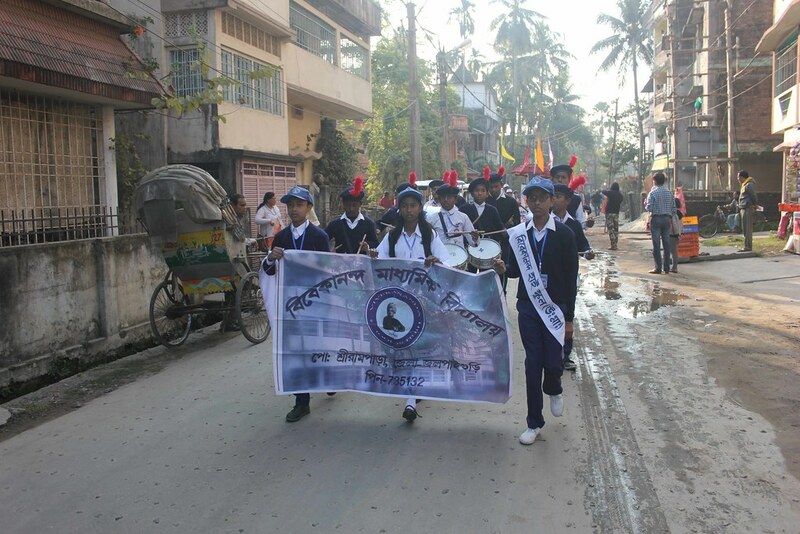 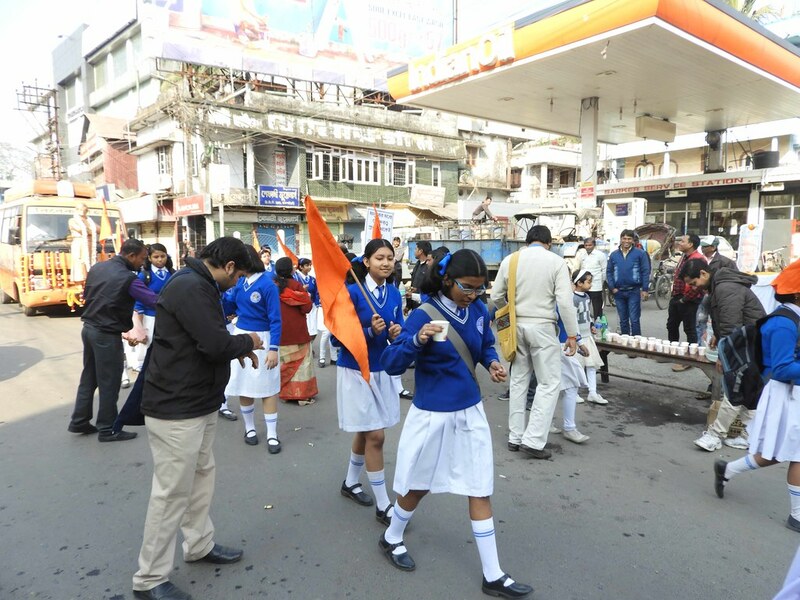 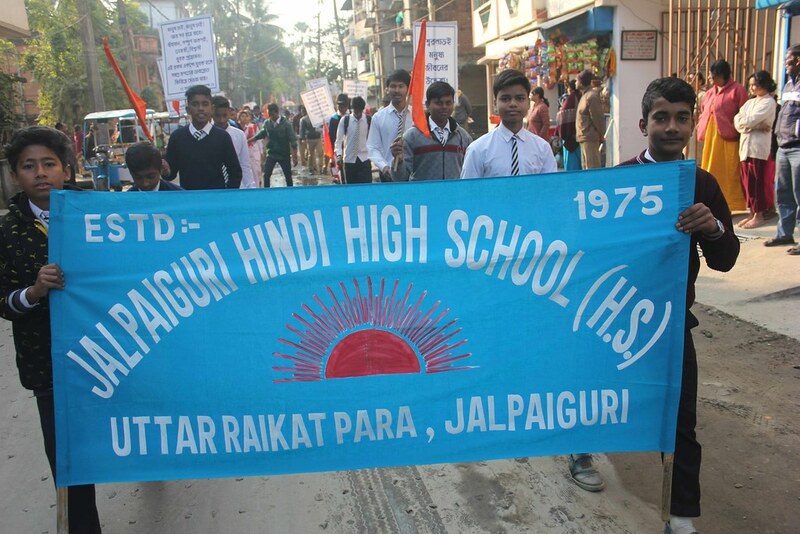 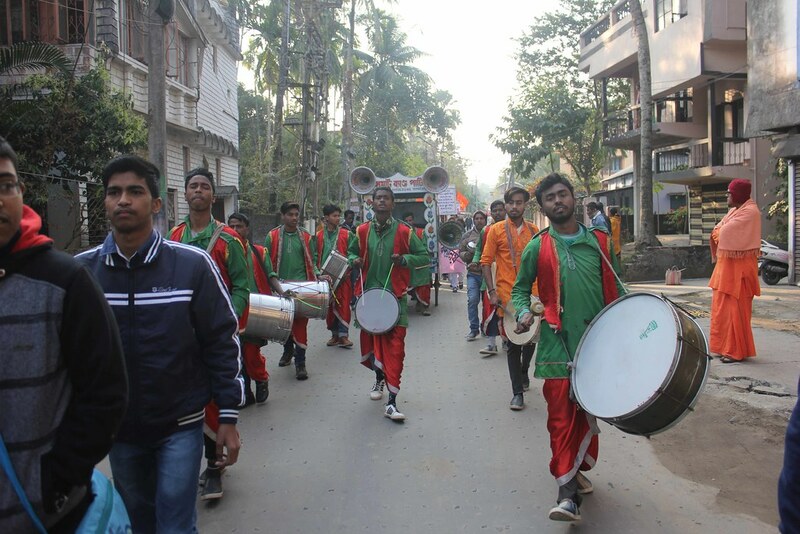 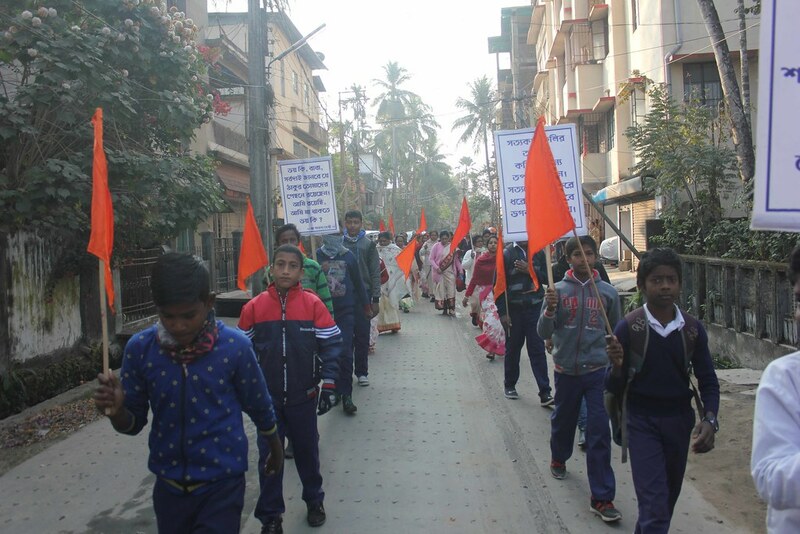 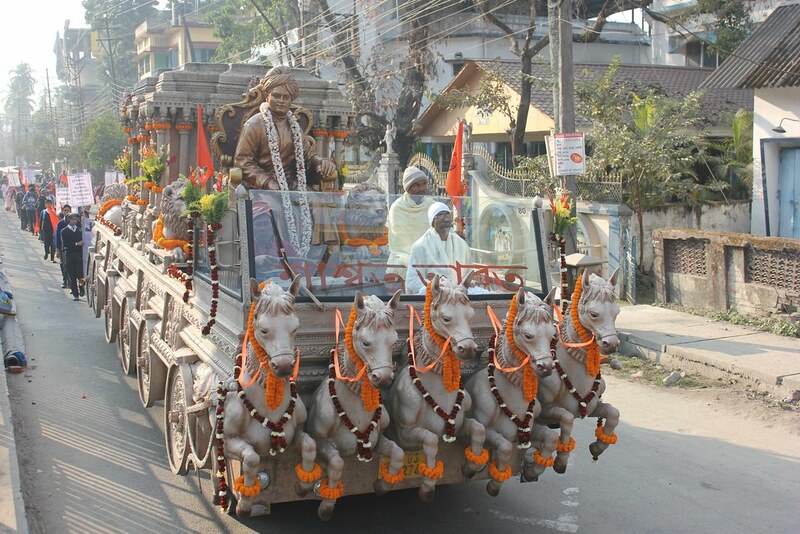 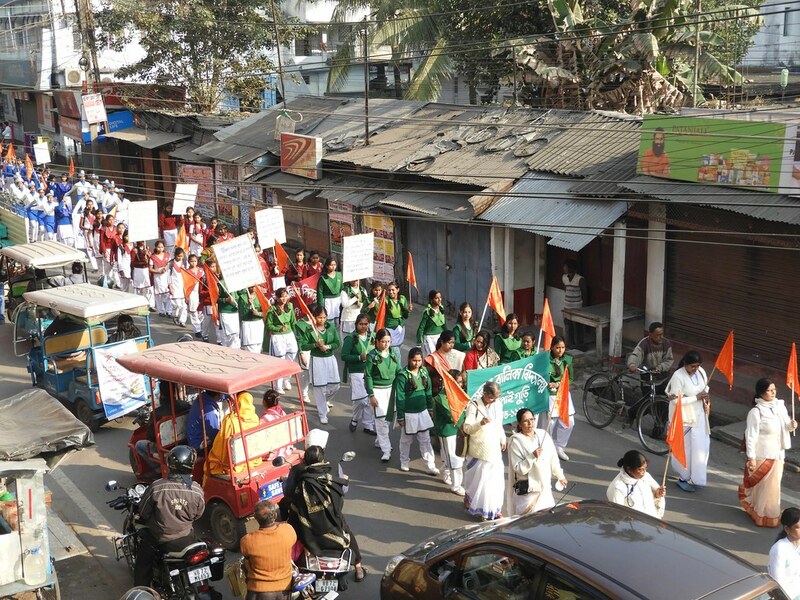 The well decorated colourful procession passed through the main roads of the Jalpaiguri city and onlookers were delighted to observe the disciplined march. 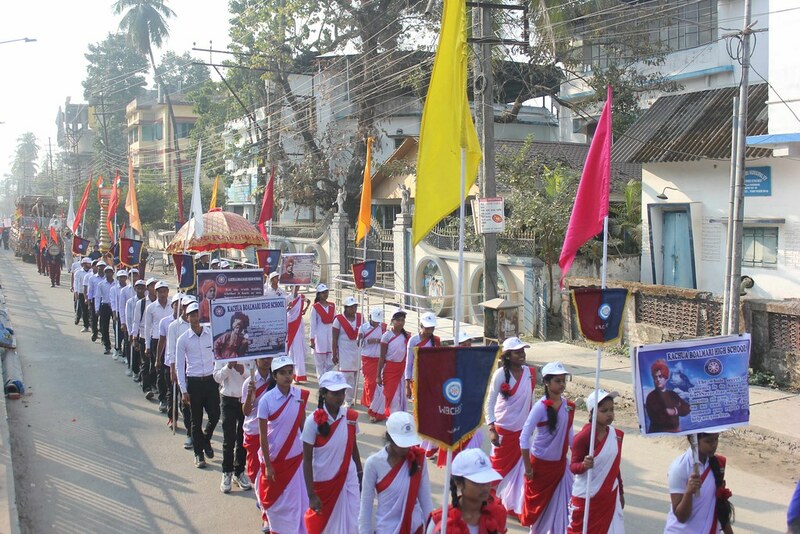 Chocolates, photos and booklets were distributed among the onlookers during the procession. 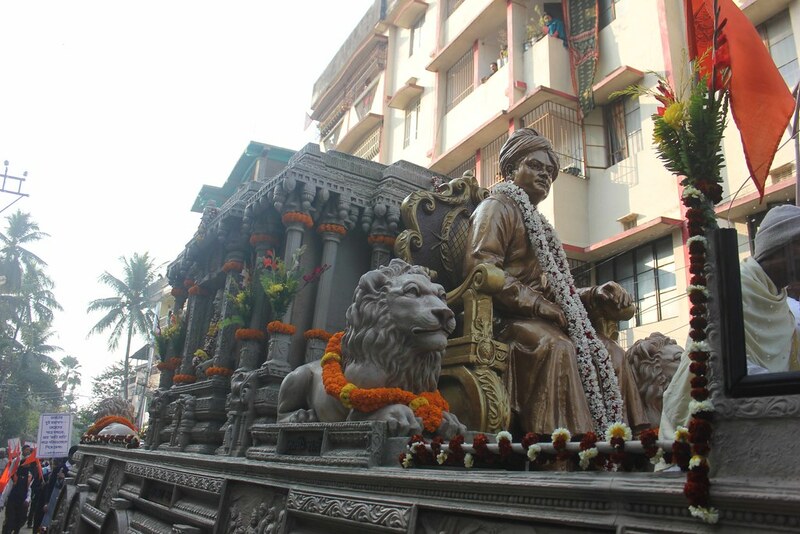 Several items like Band, Dhak, Ornamental Kalasa & blowing of Shankhya added to the grandeur of the procession. 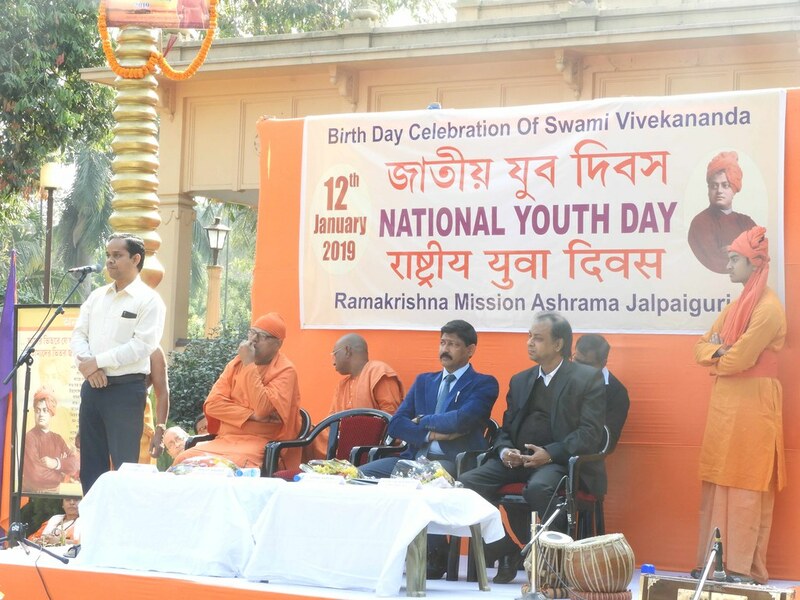 A short cultural programme was organized in the Ashrama where more than 800 spectators observed the programme with jovial attention. 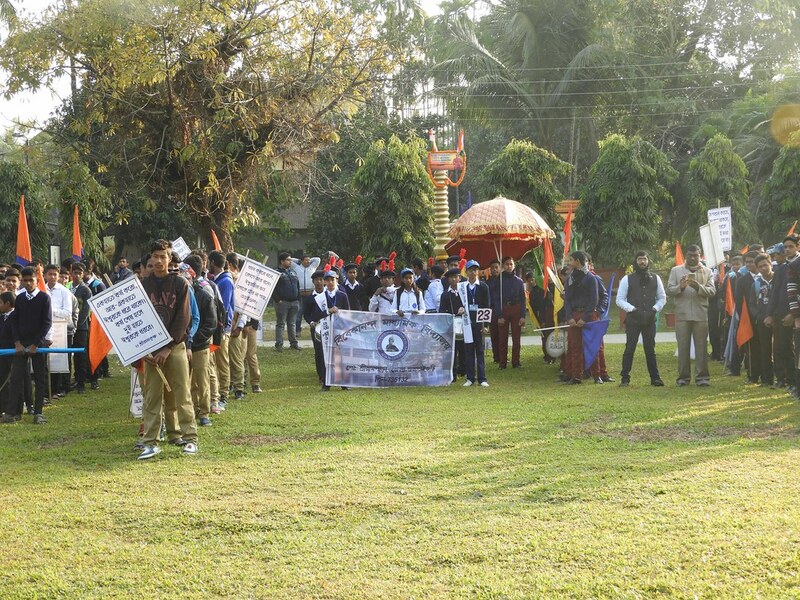 Among the Special Guests were ADM, Jalpaiguri, DMO, (Ayush), Jalpaiguri and Commandant, BSF, Raninagar, Jalpaiguri. 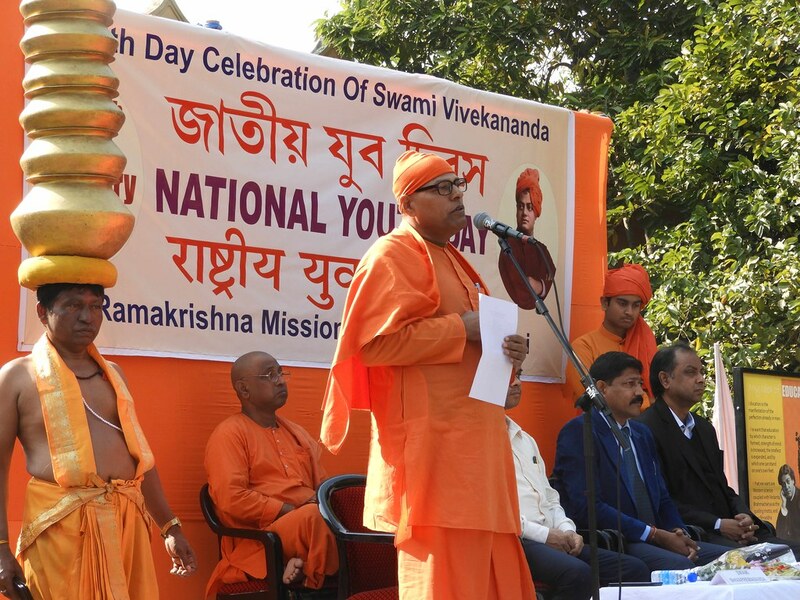 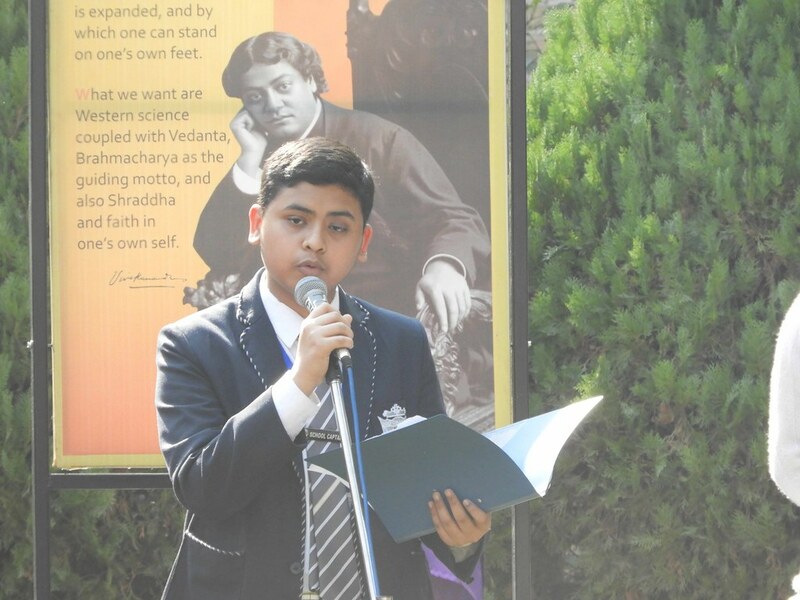 Life and Teachings of Swami Vivekananda were disseminated in the short discourses of the speakers. 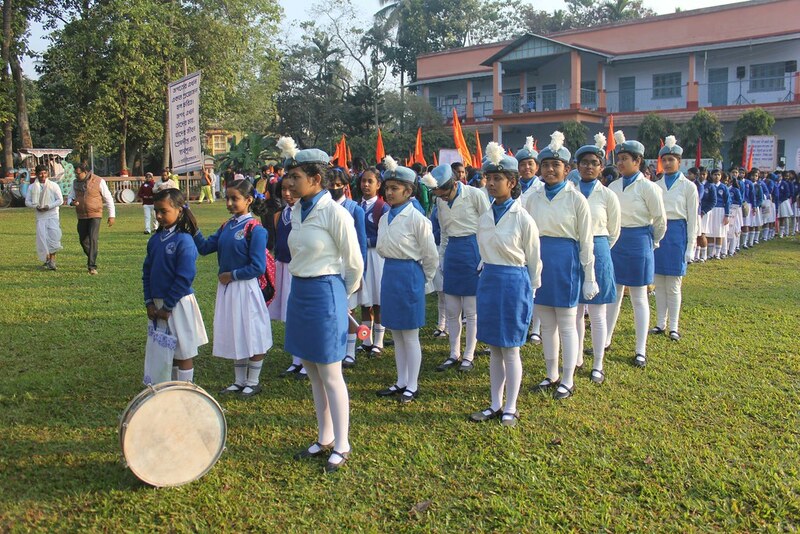 Patriotic songs were also sung by the school participants. 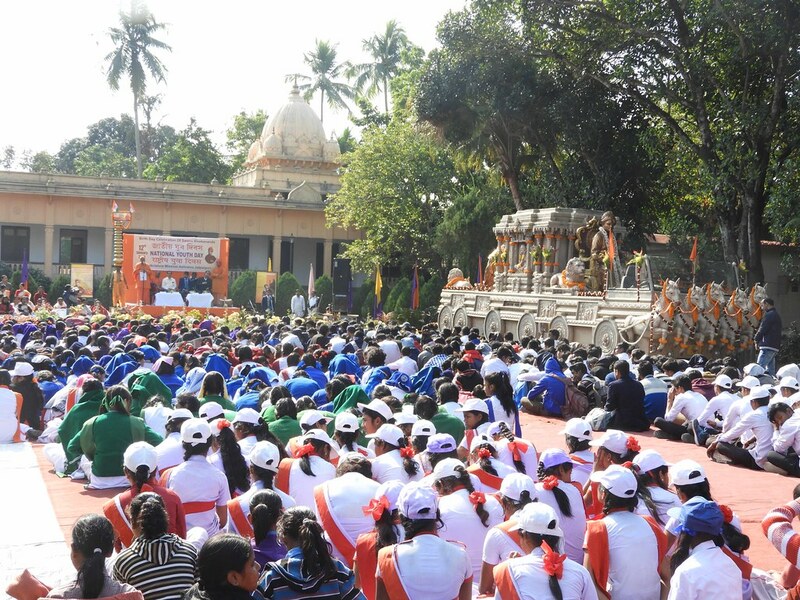 All the participants were provided with complimentary gifts and Tiffin packets.